Application of Knowledge, Excellence in Execution, Intelligent Exploration. Ronacher McKenzie Geoscience Inc. is a group of geologists and geophysicists providing a unique combination of solutions for our mineral exploration clients. We help exploration companies target efficiently increasing the odds of mineral discovery, thereby decreasing the risk that is typically associated with exploration. 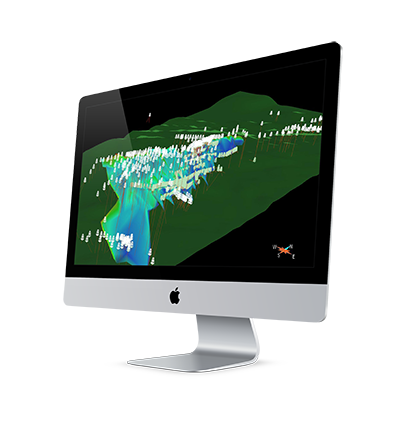 We select mineral targets by integrating exploration datasets in 3D, including geological, structural, geochemical and geophysical data. By interpreting the information in a geological context we get the most out of the data, with the best value for our clients. We specialize in integrating all geoscientific data (geology, geophysics, geochemistry) in 2D and 3D for analysis and interpretation. We can help determine the best methodology for your given target area based on physical rock property analysis and other known information. We have extensive experience managing land assets in multi-jurisdictional frameworks across the world. We help you determine the mineral potential in your area of interest, be it on a regional or local scale, anywhere in the world. We have authored numerous NI 43-101 compliant technical reports, with complete resource estimation including quality control (QC) analysis. We will plan, manage and execute your field programs and logistics including: prospecting, mapping, soil/till sampling, geophysics, drilling, QA/QC protocols. Each property we work with has different datasets and different challenges. We adjust to our clients’ specific needs by reviewing their data in detail, organizing the information and proposing solutions for the clients’ needs. We work closely with our clients to bring the best results for their property. We use the most effective methods to find the best target opportunities and make informed decisions. With state-of-the-art analytical tools, we can minimize your risks, cut your costs and reduce your time frames. Our independent assessments and advice provide the basis for your decision making.